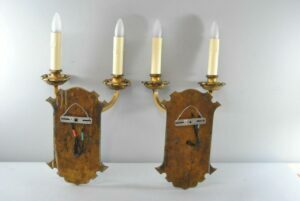 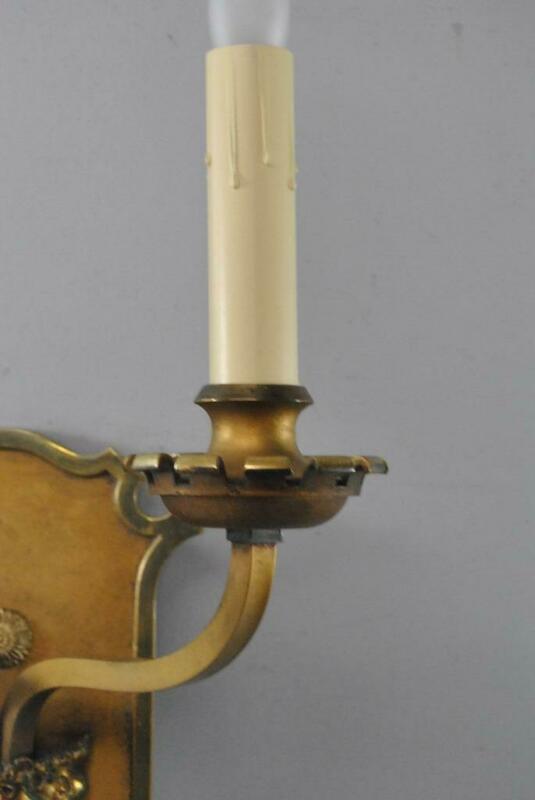 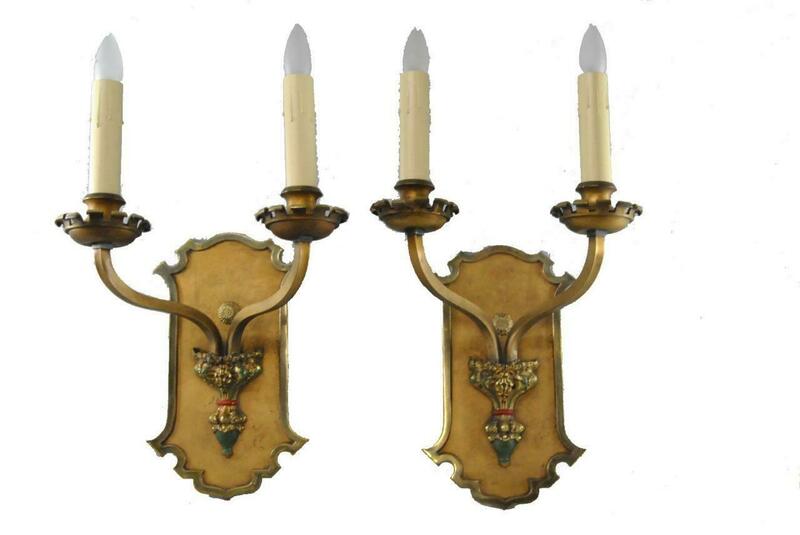 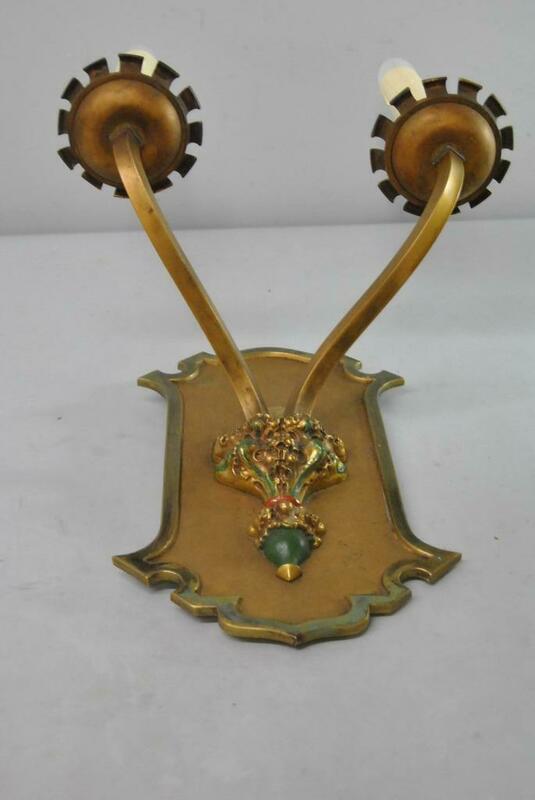 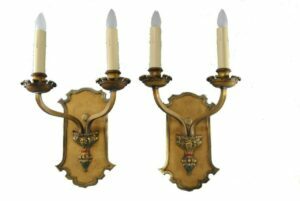 A great pair of Gothic Revival brass 2 socket wall sconces. 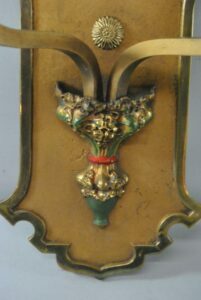 They feature hand painted red and green detail with a floral detail in the center. 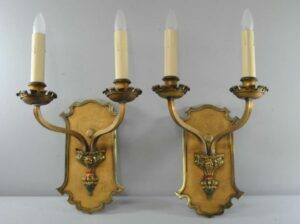 They are in very good condition with a nicely aged patina. 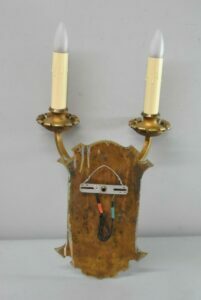 They have good wiring and new candle covers. 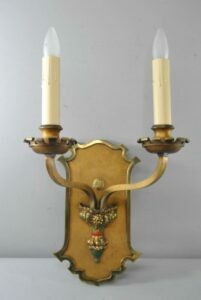 The dimensions are 17 1/2″T x 10″D x 12 1/”W with the arms and the back plate is 13″T x 7 3/4″W. Please give us a call at (419) 473-3373 with any questions.